The Pfister Hotel has received AAA Four Diamond hotel status for 40 consecutive years and is one of Wisconsin's six lodging properties that received AAA’s highest Diamond Award ratings for 2016. Additionally, the Pfister is one of only 12 hotels in the nation that has received this designation since the inception of the award program in 1977. Of the nearly 60,000 hotels and restaurants evaluated this year by AAA across North America, just one-third of 1% attained the Five Diamond rating and just 4.8% earned the Four Diamond rating. The highest AAA rating levels are reserved exclusively for establishments that create a remarkable experience for guests. AAA’s team of highly-trained professional tourism editors visits some 60,000 lodgings and restaurants each year — covering the United States, Canada, Mexico, and the Caribbean. Tourism editors conduct unannounced evaluations, scrutinizing such areas as cleanliness, comfort, ambiance, and service. AAA has conducted field inspections since 1937, introducing the current Diamond rating system for lodgings in 1977 and for restaurants in 1986. 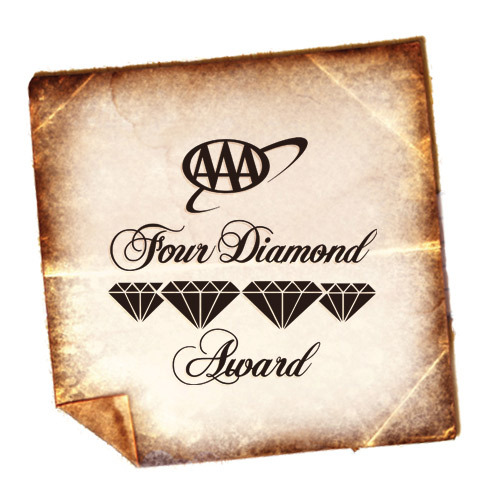 The AAA Diamond Rating Process is the only rating system that covers all of North America and includes annual property inspections. AAA Travel Services provides complete travel solutions for AAA/CAA members and the traveling public. The AAA network of over 1,000 offices and aaa.com offer a full range of travel services from requests for up to date travel information to assistance with worldwide tour or cruise packages and travel insurance. The goal of AAA Travel is to continue to be the most trusted brand in the travel industry. Information for AAA Wisconsin can be found by visiting AAAWisconsin.com.